Julie is adopted by the Beekmans in the late 1960’s and at first, brought up in the idyllic town of Grand Haven, Michigan. When her father dies, her mother, Marge decides to sell everything, leave town and provide Julie and her brothers with some “cultural awareness” which includes enrolling Julie in an all black school in the south. Over the years, Marge becomes more abusive and ultimately Julie seeks help. She begins to confide in a young Art Therapist who helps uncover a barrage of secrets. While the book covers some dark times and tragedy, there is a strong sense of humor running through it that will keep the reader reading to see just how Julie manages to pull through it all, not only in one piece, but as an adult well able to survive in this world. 4 out of 5 stars - Strong Stuff. Good Reading. This book is particularly intriguing because it is set in my own backyard at nearly the same time I was growing up there. So, I read "Willow Grove, Pennsylvania," and I not only know where that is, I can probably follow the protagonist as she tries to run away from it. Starting with the familiar means your brain doesn't have to work as hard to get into a book (for me), so I followed Julie through every page, willing her to go on and feeling very badly that she was having such an horrific time. That abuse begets abuse in the foster care and other institutions set up to provide care for those who need it makes it even more revealing. And when you get to the workplace, she's putting up with more of the above. She acts out, she runs away, she doesn't believe in herself. She is frightened and poor and hungry and doesn't always behave in a manner one might want her to. So, you don't even like her a lot from time to time (which makes it a page turner). I need to say something here that must not keep you from reading this book but the publisher needed to do a better job with the edits and proofreading, especially in the beginning of the book, and could have drawn Julie's work into the stunning writing this book deserves. She is apparently writing a sequel, and I hope she will ask for more from them, or find a stronger group. This work could be helping young people world wide. It must be used to do so. I want to rate it five stars from here on in! I read this book in 2 days! I couldn't turn the pages fast enough. Not only did I want to know what possibly could happen next, but i wanted to know how Julie was going to get through it. I cried, I laughed, I was angered and hopeful. No child should have to grow up with a mentally and physically abusive family and experience what she did. Such a brave child and now a brave woman for sharing her story. I really enjoyed this book and I am already looking forward to the day that she puts out another. 5 out of 5 stars - Two Thumbs Up for "Two Trees"
5 out of 5 stars - Must Read!!! This book moved and enlightened me. It's a raw straightforward account of the authors life from childhood to a young adult. Powerful and often astounding. Well done Ms Beekman. This book is wonderfully written. It tells a story of an abused child let down by the system that I am afraid is a common issue. Julie tells her story with some humor and a lot of heart. You can't help but be touched by her beautiful soul and feel empowered by her unbelievable resilience. "Two Trees" is a must read!! 5 out of 5 stars - .... we hungry for deep insights into who we were really are and what makes us do with we do. That's why we read memoirs. .... we hungry for deep insights into who we were really are and what makes us do what we do. Memoirs exploded into our literacy repertoire some 20 years ago or so ago with Frank McCourt's, "Angela's Ashes," and Mary Karr's, "The Liar's Club." Memoirs allow us to leap into the throes of someone's else's life with all its complicated twists and turns. We see ourselves in their stories. We cry when they've been hurt, we smile broadly at their triumphs and we bask in the resolution of their conflicts. Julie Beekman masterfully walks us through the poignant moments of her life and we're rendered her best friend, routing for her, cheering her on and holding her close to our hearts. 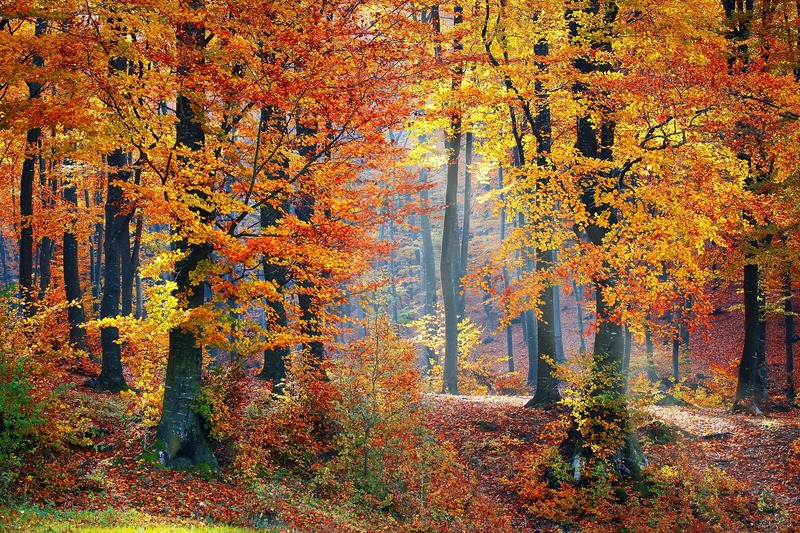 Grab a cup (or two) of tea, head to your most comfy chair and pour yourself into "Two Trees." You'll walk away from it changed. 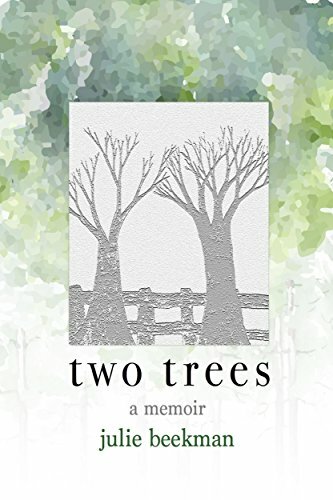 Two trees is an inspiring book of perseverance, even in the face of many obstacles and hardships that the author has experienced. Julie's description of her many feelings growing up in this troubled family will have you turning pages quickly. Even though the story is filled with sadness, the author's sense of humor resonates throughout. I enjoyed this book and highly recommend it! 5 out of 5 stars - Hard-hitting but handled with humor and emotion. Start reading Beekman and you will not be able to stop. Mesmerizing. 5 out of 5 stars - BEST SELLER for sure! Julie tells her story with bravery and passion. Every page pulls you in and keeps you reading. You feel for Julie and need to continue to the end in want of a happy ending. Congratulations Julie! So happy for your success! Julie recounts her tumultuous childhood and adolescence with humor and determination to not only survive but thrive. 4 out of 5 stars - Make this your summer read. Could not put this book down. This author's journey is heartbreaking yet hopeful. The reader is in for a roller coaster of emotions. Get in, sit down, buckle up and hold on. Definitely an e ticket ride. What an amazing talented writer. This is a moving story about the author's adoptive life and her resilience in the face of childhood abuse. Just when you think her story cannot get any more tragic, it takes a turn for the worse. The tale gets into the mind of a girl, an adolescent and ultimately a young woman and tells her story in the voice of each. Beekman's words cut to the core and held my interest until the very end. If you get a chance, I highly recommend this book. 5 out of 5 stars - Amazing memoir. Well-written, a story of abuse and struggle, but also love and survival, told with warmth, candor, and humor. I read it in three days; I couldn't put it down. The book takes you through an amazing array of emotions, and ultimately, you are left with the beauty and resilience of the human spirit and the vision of the author as an extraordinary person. 5 out of 5 stars - Great book! I also read in 2 days. I didn't want to put it down once I started reading. It is Very well written. Julie you are so beautiful, strong and loving. I would love to see another book one day. You are an inspiration for many. I Love you cousin! C.S. Lewis said, We read to know we are not alone. As a reader, I'm grateful for writers like Julie Beekman who beautifully shared her story with people like me who need to know they are not alone. I absolutely recommend this book!